“I want a 4 bedroom home in a great school district. It’s got to be new and have lots of updates--stainless steel appliances, granite countertops, a gas stove... and I’ll definitely need a large, fenced yard for the dogs and the kids. I need to be within a 10-15 minute commute to base. Oh, and I need this home to come in under BAH,” said military family homebuyers everywhere. I can feel the collective cringe of real estate agents throughout the US. “You want what? For how much? !” Sigh. On behalf of all military families, we’re sorry. We know we can be a tad demanding at times. It’s not only the influence of HGTV; we’ve just got high expectations for our off-base lifestyles, and we want to meet those expectations on our not-as-high budgets. Is that too much to ask?Okay, maybe it is. Just because your beer budget BAH won’t stretch to meet your champagne housing tastes doesn’t mean that you can’t find an ideal home for your family. You just need to stretch your imagination a little--and perhaps your commute, too. Let’s break down some of the “dream home” characteristics for a typical military family, and we’ll see where we can find some compromise. Would three bedrooms with a space for an office work, or do you really need that fourth bedroom? Growing up, privacy was a luxury that didn’t exist in my home, and my siblings and I survived, but that’s not the case for all families. Some cultures place a much higher priority on independence and privacy than others, so if that’s your family’s culture, then make sure your real estate agent knows that this point is a non-negotiable. Unfortunately, this isn’t something your real estate agent can legally answer for you. You’ll have to research the schools yourself, and then direct your real estate agent to see if she can find homes in the vicinity of the schools that meet your price point. Keep in mind that, usually, the better the school, the higher the price point and the higher the property tax rate to fund that school. Even if you don’t have children, you may want to check out your neighborhood schools anyway, because schools will have an impact on your resale value. Check out our post on the 4 Top Tips for Finding a School at Your New Duty Station to get you started on your school search. If you come across a builder who needs to divest himself of his remaining new build homes quickly so that he can move onto his next project, then count your blessings! For everyone else looking at new build homes, the return on investment after an average of three years before you relocate isn’t pretty. Think about it this way--if you’re buying into a neighborhood where the builder is still building, you’ll have a tough time reselling at the price you paid when your potential buyers can get a brand new home with shiny new appliances for the same price. Think carefully before you consider just how much “new” may cost you. Are you willing to pay out of pocket when it comes time to sell just because you didn’t want to put your caboose on the same commode that someone else used? If you have a pet, or if you’re a family who spends lots of time outdoors, then make this one a priority on your list. Unlike updates, you can’t add a backyard over a weekend. Well, I guess you could, but that’s called an encroachment, and there’s all sorts of legal issues involved in making that kind of update to your home. There’s that, and I don’t think your neighbors would appreciate you reappropriating their land for your own purposes. I spoke with a military family earlier today who absolutely would not compromise on this point even when I explained that an additional drive of a mere 5 to 10 minutes would open up their options to a substantially wider market of homes that would better fit their needs and their price point. In order to make the short commute work, they’ll have to compromise on both the school district and home updates. If you’ve spent any amount of time near military installations, you’ll know that there’s a trade-off that comes with living in the immediate vicinity of base. Military installations, outside of a few select areas, tend to exist in areas where land is cheap. Where land is cheap, property taxes are low; and, where property taxes are low, schools tend to perform poorly, too. Again, this is not always the case, but it’s definitely something to consider when you’re looking to make a compromise on your dream sheet. So, could you handle another few minutes in the car each day? You could always reconceptualize time spent in traffic as mandatory decompression time--time to meditate, think, pray, sing out loud, or listen to audiobooks. Oh boy, if you’ve been firm on all of the other points, then you’ve left no wiggle room here. That isn’t necessarily a bad thing, though. If you’ve gotten everything else that you wanted on your dream sheet for your home, then passing up on updates--albeit, temporarily--isn’t such a bad thing. Do you need a gas stove immediately? Then put running gas lines to your stove area as a priority first, and shopping for a gas stove second. Consider outlet stores for appliances with minor dings to help you save hundreds on each appliance. Are granite counters a must? Count up your square footage of countertop, allot $50-100 per square foot for countertops, and then put replacing the counters on your calendar next. When you can install your dream countertops for so little, you’ll be so glad you didn’t pass up on an otherwise entirely great home just because it didn’t have ideal countertops ready and waiting for you! When you can compromise on the updates, you’ve got a better chance at getting everything else your family needs from your dream list. And, if you plan it right with a little bit of budgeting and sweat equity, you can still get those updates, too. So, what would your family compromise on from this list, and what’s your ABSOLUTE non-negotiable? I’ll share mine from our recent home purchase. We prioritize school districts and location above all else; almost everything about a house can be changed, but location can’t. We compromised on some outdated cabinets, outdated light fixtures, and some strange use of indoor tile--outdoors! Now it's your turn to share! 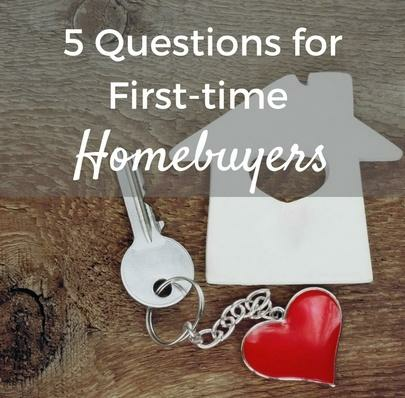 What won't you compromise on when it comes to home buying?